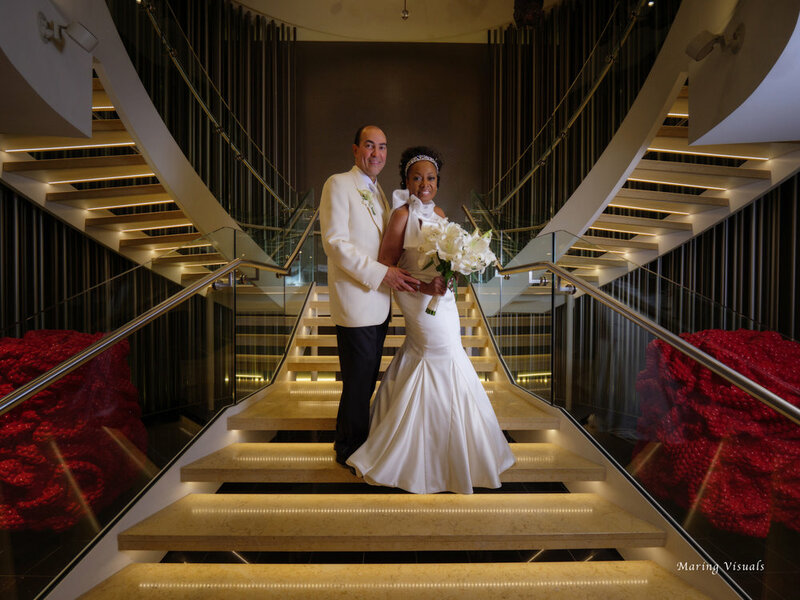 Our wedding photography is for couples who seek a photographer and professional they can trust so that they can enjoy their wedding experience in the fullest extent possible. 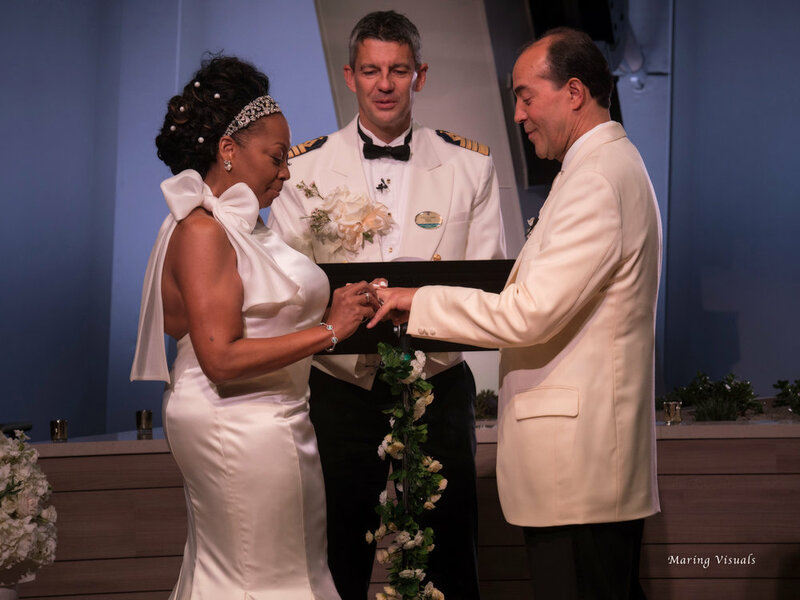 Author, Lawyer, and former panelist on The View Star Jones married Ricardo Lugo on Royal Caribbean Anthem of the Seas cruise on Sunday in front of 150 special guests in a beautiful gown designed by Dennis Basso. The events kicked off Saturday night as the ship left port from New Jersey with a stunning view of the Manhattan Skyline with a birthday party in the Solarium. (Teaser video of the Birthday Celebration Below) A few celebrity guests included Holly Robinson Peete, Vanessa Bell-Calloway, Phaedra Parks, Bill Bellamy, Tina Knowles-Lawson and Richard Lawson. The Maring's are the exclusive photographers and filmmakers covering events throughout the week. All Photographs ©2018 Maring Visuals | Unlawful to publish without permission from Maring.